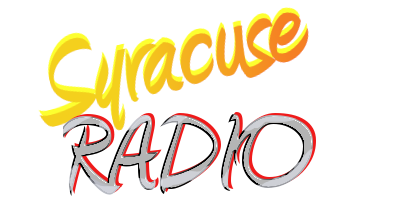 This entry blank (8.5 x 11.5") was available to listeners at participating sponsors in Syracuse and all over Central New York. In order to qualify to win the grand prizes, listeners were required to listen and write down the correct location of each state's symbolically hidden license plate before submitting their entry. Entrants who were judged to have all of the designated locations correct would then qualify for the grand prizes. During this promotion a new car, snowmobile and diamond ring were awarded, in addition to numerous other smaller prizes. 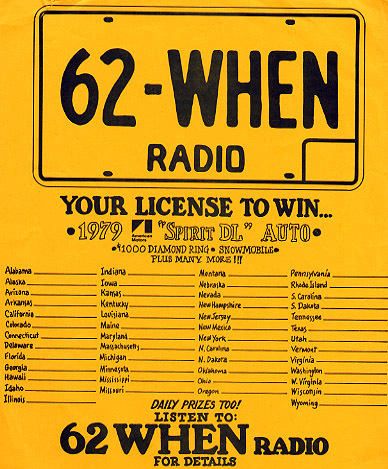 It was with this promotion in 1979 that the ubiquitous 62 WHEN License Plate logo saw its first use.